Shiv Sena won 84 seats as against 114 required to have absolute majority in the Mumbai civic body and has so far received support of four Independents. MUMBAI: The Nationalist Congress Party (NCP) chief Sharad Pawar today said his party will join hands with the Congress in all the municipal corporations and Zilla Parishads in Maharashtra, where elections were held recently. "NCP will form an alliance across all the 10 municipal corporations and 25 Zilla Parishads in the state in post-poll scenario. Party chief Sunil Tatkare and MPCC chief Ashok Chavan have already held talks regarding the same," Pawar told reporters in Nanded. He said, "If both the parties form an alliance, it can come to power in some 17 to 18 Zilla Parishads of the total 25 that went to polls. A meeting is scheduled in Mumbai in coming days, where it (the alliance) will be finalised." 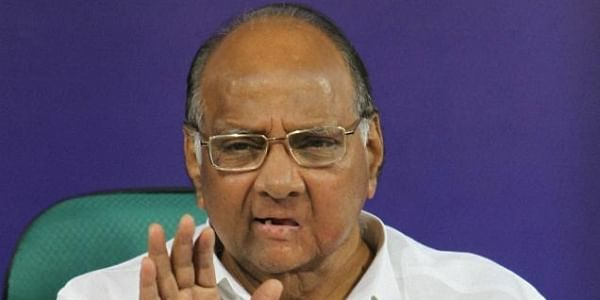 On his earlier assumption of state government getting unstable post civic elections, Pawar said, "Going by the behaviour of Shiv Sena chief Uddhav Thackeray, I don't think he will opt out of the state government. But if he does so, we are ready for the elections." Asked whether NCP is keen on supporting Shiv Sena in BMC, Pawar said, "I think Shiv Sena is managing to arrange enough numbers to form a ruling coalition in BMC. If there is need of NCP's support then the decision will be taken at local level." Shiv Sena won 84 seats as against 114 required to have absolute majority in the Mumbai civic body and has so far received support of four Independents. Hence, the party is claiming to have a total strength of 88 corporators in the BMC. Though Congress won 31 seats, party leader Sanjay Nirupam has already made it clear that it would not support Shiv Sena in the cash-rich BMC. It is to be noted that of the 1,509 seats in 25 Zilla Parishads, BJP won 406, Congress 309, NCP 360 and Shiv Sena 271. Rest of the seats were won by Independents and local fronts.